This highly regarded area of Spain makes some of the best Tempranillo-based wines in the world. Once the only DOCa (recently joined by Priorat in 2001), Rioja is divided into 3 sub-regions: Rioja Baja, Rioja Alta, Rioja Alavesa. 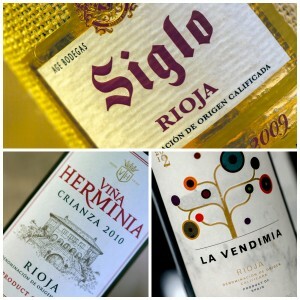 There are 4 red varieties and 3 white varieties allowed in the Rioja DOC. Tempranillo definitely takes center stage, followed by Garnacha (Grenache)), which is sometimes added for body, then Graciano and Mazuelo (Carignan). The region also makes roses. For whites, the main grape is Viura (or Macebo), producing fresh, early-drinking wines. Malvasia, the grape that was once the most planted white, is found less often. The Rioja wine trade is somewhat confusing. Grapes are typically brought to a merchant’s bodega from one of the 20,000+ growers in the region, or via a cooperative. The wine is then bottled and labelled by that bodega. 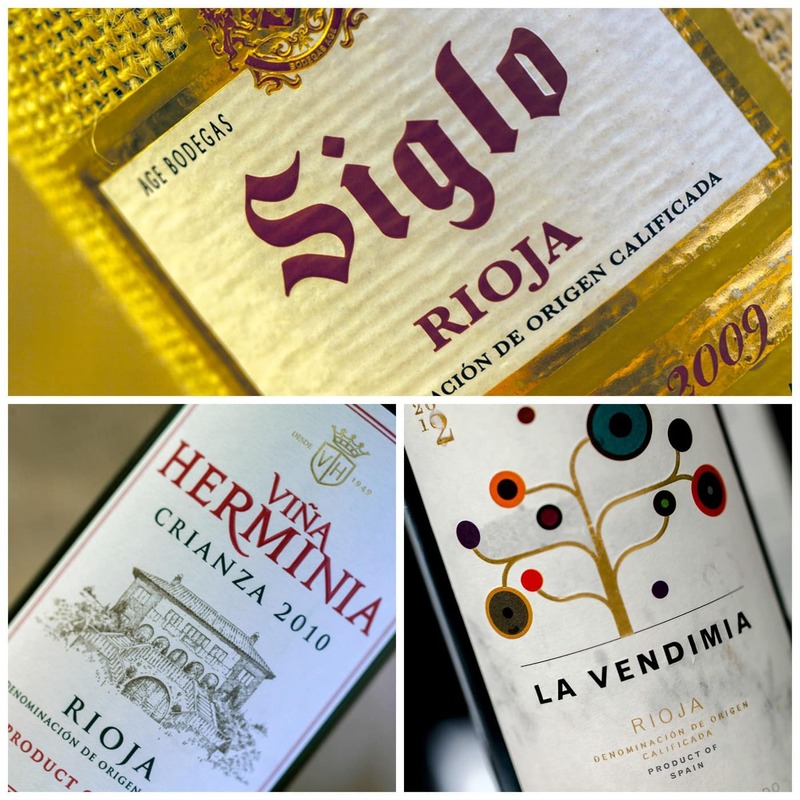 Rioja’s Consejo Regulador keeps track of all vineyards and bodegas to make sure they are following the DOCa regulations. Put in place to ensure quality, the system also controls prices. As with the rest of Spain, the wine label may state Crianza, Reserva or Gran Reserva, depending on barrel & bottle maturation. Crianzas are usually found within two years of the vintage and offer fresh, ripe wines. Reserva and Gran Reserva will be found a few years after the vintage, as the bodega will be aging the wines in barrel and bottle before release. Both typically show more secondary characteristics of spice and oak ageing.